With this project, German Salazar set about to build a long-action, lefty version of the classic Remington 40X target rifle -- a rifle he has always loved. You may be surprised that Remington never offered a long-action version of the 40X, even when Remington chambered it for longer cartridges. German set out to build a modernized 40X centerfire, with a stiff, durable McMillan stock and a Krieger medium-Palma-contour barrel for better balance. It would be a long action, properly sized to shoot the venerable .30-06, one of German's favorite chamberings. The result is a handsome and versatile target rifle, dubbed the "40XL" by German. This shows what Remington could do with up-to-date components and a bit of imagination. The 40XL -- What Remington Should Have Made! I love the Remington 40X rifles, I began shooting in 1971 with a .22LR 40X, the old straight-handle 722 type which my father bought for me; it was an older but pristine rifle at the time. Years later, I was introduced to High Power shooting with a friend's Model 70. I then sought out a centerfire 40X to call my own. Eventually, that same friend, Oly Massey of Houston, found me a good used one, although it was, of course, right-handed. I bought, shot, and thoroughly enjoyed that rifle and to me, at that time, a 40X was the epitome of what a target rifle should be. A few years later I was able to order a brand new left-hand 40X in .308, through another shooting friend who had an FFL, that was Marty Washington, a fine Smallbore shooter and a real gentleman. I still have that rifle, and although it has been through many barrels, stocks, triggers and sights, the receiver and bolt remain just as they came from Remington. As much as I like the various custom-actioned rifles that I have, the 40X is what takes me back in time and always creates a nostalgic feeling. Part of that nostalgia, no doubt, is thinking of all those friends who became intertwined with each rifle; we don't shoot alone and very little of what most of us do in this sport happens without the involvement of our friends, club mates and family. This project is a real reflection of that, as it couldn't have been done without a lot of help from a lot of friends. That effort is not only appreciated, it also makes the finished product that much more interesting and memorable. Remington has never made a long-action 40X; whether you buy a 40X in .22-250 or .300 Magnum, it will be a short action. That's never made sense to me, and as a .30-06 fan, I thought that a long-action 40X chambered in .30-06 would be just right. Sometimes we all get these impractical notions and we aren't going to get any cooperation from the big factories. In these situations there's usually only one practical solution: do it yourself. In my case, that really means do it with the help of a lot of friends since I am no gunsmith. The basic plan was to make a 40X clone with a long action, a 40XL if you will. Making a target rifle from a 700 is no great feat, but my idea wasn't just to make an accurate 700, it was to make it the way Remington could -- and should -- make the 40X for the long cartridges. Since the 40X is a target rifle built around a 700 action, the easy part of this project was the action -- a left hand 700 long action was available and became the basis for the project. I considered making an exact replica of a 40X, copying the factory wood stock and barrel profile (which is essentially an MTU profile), but went down a slightly different path instead. While there are a lot of used 40X stocks available, they are all right-hand inlet, short action models and re-inletting them and filling the cuts on the right side sounded like a lot of effort on a used stock. Having a new wood stock made is an expensive and slow proposition, so I scrubbed that idea as well. Earlier this year, I walked into Bruno's to idle away my lunch hour with Lester Bruno and the crew and I spotted a McMillan Marksman stock already inletted for a left-hand long action 700 with no magazine cutout! Lester was happy to see me interested in this tough to sell stock and we made a deal for it. That really gave the project a head of steam and since Remington has been making the 40X with a synthetic stock for many years now, it wouldn't take me too far from the goal of a factory-like rifle. The barrel was the next big decision. My other .30-06 rifles have 1:10" or 1:11" twist barrels as is normal for that chambering. I have a 1:10" MTU profile Krieger on hand, but it's earmarked as a replacement for one of the Eliseo tubeguns when that time comes so I didn't want to use it. I also had a Krieger 1:13" twist medium-Palma-contour barrel with about 3000 rounds of .308 through it which was given to me by Bill Otten. A 1:13" twist .30-06 is not something I've ever shot, or even seen, but it seemed like a reasonable approach since the Berger 175 which I like so much will shoot perfectly well in a 1:13" twist and the price was right! Another plus to using that barrel was the profile. With the relatively light McMillan stock, the medium Palma was just right. The MTU profile is about 1.5 lb. heavier than a medium Palma; that would have made the rifle excessively muzzle-heavy. The barrel profile is an area where Remington could really update their offering, for High Power shooters today, the medium Palma is far more popular and sensible. My unorthodox choice of twist rate is simply a matter of convenience and economy, ideally I would have used a 1:11" twist. Picking a trigger wasn't too hard; although the factory 40X trigger is good, I don't have one around and even if I did, I like the X-Treme Shooting trigger so much that the decision would go in that direction. The X-Treme MK22 (formerly known as CG-Jackson) was designed by Robert Chombart and is made right here in the US by Tom Myers, another long-time shooting friend. I've had the pleasure of corresponding with Robert for some time now and look forward to meeting him one day also. The X-Treme is a two-stage trigger which I strongly prefer for High Power shooting with anything having more recoil than a 6BR. What does recoil have to do with triggers? The more a rifle recoils, the firmer my grip needs to be. It's hard to modulate a 4 oz. single-stage trigger (like the one on my 6BR) when you are holding the rifle tightly. On the heavier recoiling rifle, when I grip firmly, the trigger finger is tensed from the tight grip and doesn't give me the proper degree of feel for a light pull. Besides that important aspect, a two-stage trigger is simply safer as it has much more sear engagement. The X-Treme MK22 is the best made and best feeling two-stage trigger I've ever used; I wouldn't trade one for any other trigger made. The .22LR Remington 40X was first released in 1955 as a replacement for the model 37 target rifle. The 40X was a pet project of Remington's Mike Walker, who wanted Remington to have a rifle that could beat "all comers", including Winchester's target rifles. The rimfire 40X "Rangemaster" was initially offered in both standard barrel (S1) and heavy barrel (H1/H2) versions, the H1 including Redfield Olympic target sights. In 1959 Remington introduced centerfire 40X models, again with both standard and heavy barrel versions. Initially offered in .308 Winchester, more chamberings were offered in 1960: 222 Rem, 222 Rem Magnum, .30-06, and .300 H&H Magnum. As a sidenote, starting in 1959, Remington worked with the USAMU to develop a heavy, 15-lb International Free Rifle using the 40X action (both rimfire and centerfire). This gun employed a completely different stock, and was produced in very limited numbers. Only 123 rimfire "Free Rifles" rifles and 594 centerfire "Free Rifles" were sold from 1960 through the mid-70s. A major change took place in 1965, when the Rem 722-style action on the 40X was replaced by a Rem 700 action, and the 40X was officially renamed the "40-XB". 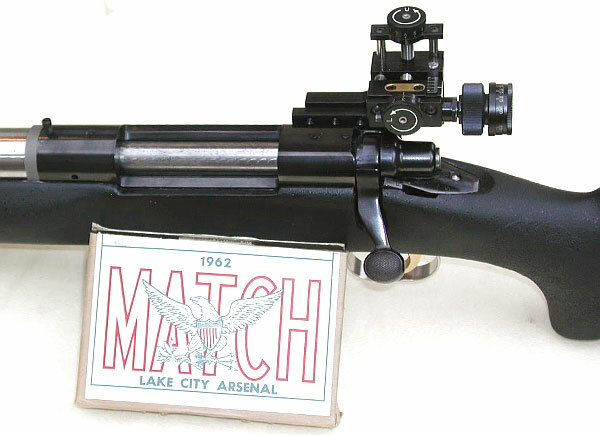 At this time, stainless barrels were offered as an option, and Remington introduced a mag-fed, centerfire repeater for National Match shooters. (Interestingly, though 40-XB repeaters were made in many calibers, only the .308 receivers were factory-slotted for clips.) A wide variety of centerfire chamberings were offered from 1965 through 1975 when the 40-XB was officially replaced by the 40-XR, only to be re-introduced in 1985. The rimfire model 40-XB continued as single-shot only until 1970 when Remington added the 40-XB Sporting Rifle, a deluxe mag-fed repeater with Monte Carlo stock. The famous Remington 40-XB BR was introduced in 1971. This was a precision, single-shot rifle initially chambered in 222 Remington. It featured a wider forearm and either a 20" barrel (for Light Varmint class) or 26" barrel (for Heavy Varmint Class). Other chamberings were added to the 40-XB BR lineup in 1972, including .222 Rem Mag, 6mm Int'l, 6mm-47 and .308 Win. 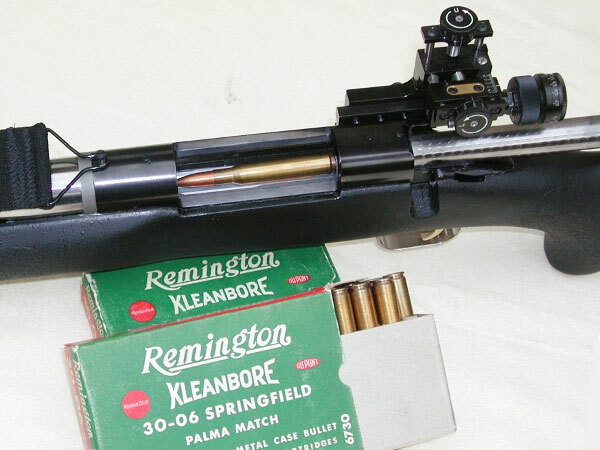 In 1978 Remington added the 22 Rem BR, and in 1979 the 6mm Rem BR was added. We think this makes the 40-XB BR the first factory rifle chambered for the 6mmBR. It is important to distinguish the 40-XB BR from other 40X models. The action on the 40-XB BR was finish-machined differently -- in order to make the action straighter and more uniform. Because of the special machining process, the serial number could not be roll-stamped on the action, and was electro-etched instead. That's why you'll see "Remington Model 40XBR" and the serial number etched on the left side of the receiver. You may have read that all 40X and 40XB actions are machined or "blue-printed" after heat-treating. That's not true. Only the 40-XB BR models used a special production method for the receiver, and it's not equivalent to "blue-printing". Are 40X Actions Superior to Other Rem Actions? Is it safe to assume that 40X/40-XB actions are "better" than regular Rem 700 actions? Paul Coburn has written: "The receivers use the same barrel threads and same dimensions as the standard actions, BUT the 40-X series receivers are NOT taken from the standard production line and 'trued'; they are made (and serial numbered) in a different facility. The actions are NOT 'blue printed'. They are simply made true and square to spec, from the start. 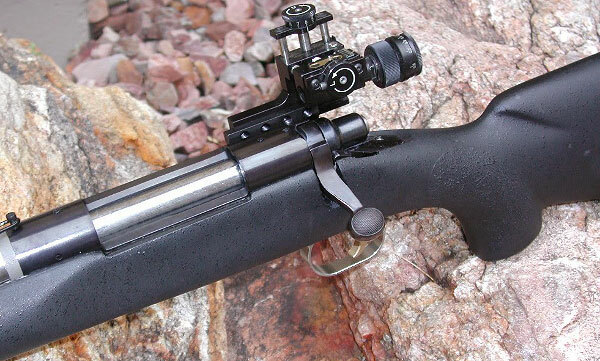 All the 40-X rifles I've owned had both lugs mated, all screw holes were true and in line, and they were impeccable." For a complete history of the Remington 40X series of rifles, read The Remington 40-X Rifle -- A Legend in its Own Time by Paul Coburn. You may also enjoy reading the Rem 40X section of Roy Marcott's History of Remington Firearms. Marcott offers a definitive list of all the 40X models and chamberings, along with a production chronology. The last few pieces I needed were a recoil lug, a single-shot loading ramp, a trigger guard, all of which came from Bruno Shooters Supply. I also needed a front sight and bought a used 18mm RPA ladder from Haven Williams and, of course a sight base which was initially a new old stock 0.670" Redfield from Bob Jensen. 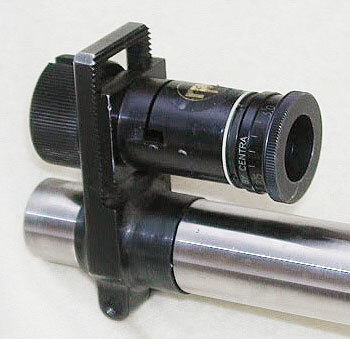 The rear sight is a Warner No. 1 with a Gehmann iris which I had from a rifle I recently sold. With all the bits and pieces now gathered, the work of turning a pile of parts into a useful rifle began. Phil Hayes, a good friend and fellow High Power shooter did the chambering work using a PT&G "Serengeti Rifles .30-06 Match" reamer from Dave Kiff. This is the same reamer print with which my other .30-06 rifles are chambered but since my reamer was in Raton and this project came together quickly, the actual reamer used was lent to us by another club member, Chris Zapp. Phil cut off the old threads and cut about 3/4" from the muzzle end, that left us with a 28" barrel, my preferred length for a .30-06 and a fresh throat which was about 1.5" forward of where the old .308 throat in this barrel was. A borescope examination showed that the rifling in the new throat was sharp and in excellent shape; the new crown likewise looks perfect. I think this is one of the few instances when rechambering an old barrel makes some sense, because the old .308 chambering caused very little erosion and the rethreading and rechambering into a longer chamber wiped out what little wear there was and really left us with an excellent throat and bore area. Stock work was next on the agenda; I spoke to Doan Trevor about the project and he was ready to give it a whirl. Doan is well known for his beautiful wood stocks, but he works with composites too. The stock had a rubber buttpad and sling swivels when I bought it, but no handstop rail. I wanted an adjustable buttplate, but something light and unobtrusive in keeping with the theme of making this a rifle like Remington could reasonably build. Doan had the solution, a neat, thin buttplate that you might not even notice is adjustable until it's pulled out a bit. There is a set screw on the right side of the stock that locks the in/out/cant rod and one through the pad for the up/down adjustment. As for the sling swivels, I decided to keep them for no particularly good reason; Doan left the rear one alone while remounting the front one through the new Anschutz handstop rail. Since my use for the rifle is prone matches, it was made into a single-shot by epoxying the loading ramp to the action and leaving the stock uncut for a magazine well. There is no adjustable cheekpiece and that's intentional as I wanted a clean, factory type look for the rifle. Doan pillar-bedded the rifle, installed the buttplate and rail and had it back to me very quickly. Thankfully, since I have many shooting friends around the western states, I was able to keep the rifle out of the grip of UPS. Steve Cunico drove it up to Doan in Albuquerque on his way to Raton and Doan brought it back when he came to the Berger Bullets Southwest Nationals a few weeks later. With the complete rifle back in my hands, I installed the sights and adjusted the trigger. Looking at the finished rifle, I was very satisfied with the outcome. It's not an exact clone of a 40X nor is it meant to be. It's my idea of what Remington could and should build as a 40X for High Power shooters today. It weighs 11.5 pounds, has good balance and could be built as a repeater or a single shot. If they were to do this, a 1:11" twist would make more sense for a .30-06 but that's a minor detail. My first trip to the range with the 40XL showed me a few things. First, it is a comfortable rifle, well balanced and well dimensioned. Second, the 0.670" rear sight base was too tall as I couldn't get good cheek pressure on the comb. Third, I needed to keep working on the trigger adjustment as I still had some creep in the second stage. Fourth, and most importantly, the rifle really shot well! On that first outing, I shot a box of Lake City 1962 Match ammo. 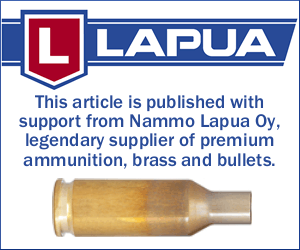 This is good ammo but not up to the standards of our modern handloads; it has a 173 gr. FMJ match bullet and is loaded with 47.5 grains of IMR 4895, a mild load suitable for the M1 Garand. I've shot quite a bit of this ammo in other .30-06 bolt action rifles and I can genuinely say that this rifle shot it better than any other rifle I've shot it in. I used four rounds to get a good zero on the rifle at 500 yards and the remaining 16 shots scored a 160-10X. I have a feeling that the 1:13" twist may be a good thing for these "less than perfect" bullets as their imperfections matter a bit less when spun at a slower rate. Reluctantly, I replaced the Redfield 0.670" base with a Champion's Choice 0.480" unit. I wish I hadn't needed to do that, the Redfield base is brand new and came from Bob in the original envelope, probably 40 years old and just a beautiful shiny blue. But, unfortunately, a good cheek weld trumps nostalgia, so the Redfield base went back into the parts bin. I then got back to work on the trigger, really refining the first-stage to second-stage transition and I think I got it just right. Ready for a second session, I loaded some ammo using the Berger 155 VLD and IMR 4320. This was a mild load simply intended to let me test the trigger adjustment and get a zero once again after the sight base change. At the second range session, on an uncharacteristically cold, windy and rainy day in Phoenix, I shot a 99-4X at 500 yards for the 10 shots I fired. The trigger is now just as it should be and the 0.480" base brought my face down to the comb. It could stand to be a tiny bit lower, but that's the lowest base I could find; it'll be fine. Now I'll get to work on loading for this rifle with the Berger 175 which I think will be well suited to the twist rate and chambering. The loads I generally use are listed below. 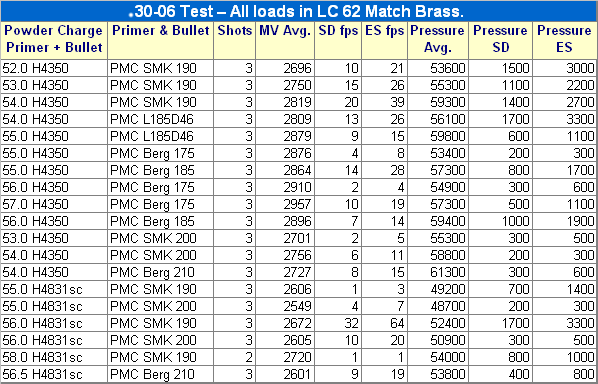 All loads are in Winchester or Lake City Match brass. I have used Lapua, Remington, Federal, and Norma brass also but simply due to availability and quality I use mostly Winchester. Among all the options I prefer Lapua and Winchester. I normally use Russian (PMC/Wolf) primers but sometimes use Federal 210. If you use normal, responsible reloading procedures (starting 10% low) these loads should be safe in any brand of brass as capacity is very similar in all types of .30-06 brass. IMPORTANT: All these loads are for moly-coated bullets. Reduce loads by at least 1.5 grains initially with naked bullets. 1. 47.5 grains H4895, Sierra 168 moly MK. 2. 50.0 grains IMR 4320, Sierra 168 moly MK. 1. 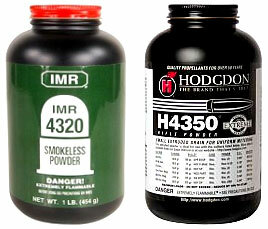 51.0 IMR 4320 grains, Berger 155 VLD or 155.5 Fullbore, or Sierra 155 Palma (all moly). 1. 53.5 grains H4350, Sierra 190 moly or Berger 190 VLD moly, 2800 fps. So, there we are, it isn't some sort of "ultimate match rifle" nor was it meant to be. It's a good, solid, reliable rifle, built just as Remington could and should build the 40X for today's entry level target shooter and with a long action as long cartridges should have. 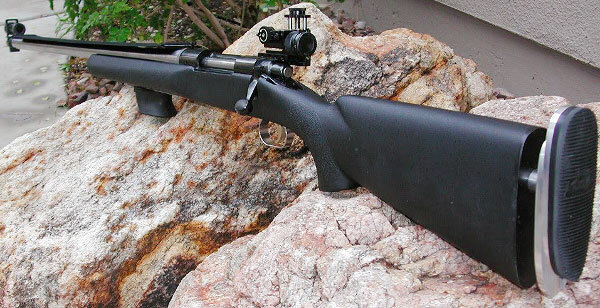 Remington could sell a rifle like this, in long or short action, at a competitive price and recapture some of the market they've lost to Savage and to custom makers. Regardless of what Remington does, I have what I wanted: a long action 40XL in .30-06; the project came together perfectly. As the Beatles said: "I'll get by with a little help from my friends" and my sincere appreciation goes out to all of them for their help in making this happen. 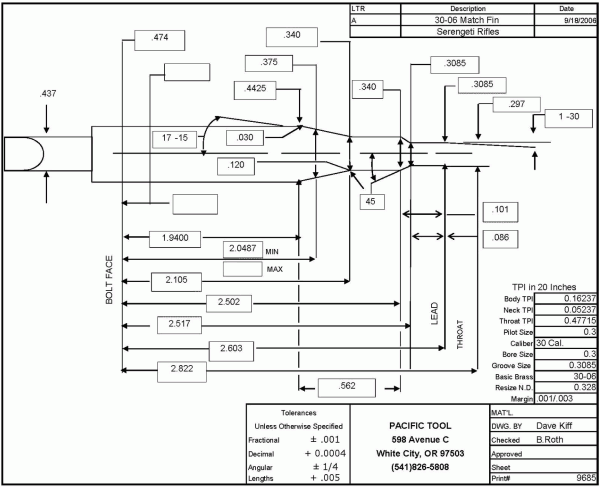 ALL LOADS in this Chart Are for MOLY-Coated Bullets. Reduce loads 3% for Naked Bullets. Did You Enjoy Reading this Article? If So, You Can Help Support 6mmBR.com by Making a Small, Secure Contribution. Topics: Remington, Rem 722, Rem 700, Rem, 40X, 40-XB, 40-XB BR, 40XL, .30-06, 30-06 Springfield, X-Treme Trigger, MK22, CG Jackson, Warner, Redfield, RPA, Gehmann, Champion's Choice, Berger Bullets, Berger 155 VLD, IMR 4320, IMR 4895, IMR Powder, Bartlein Barrels, High Power, High power, Iron Sights, Mike Walker, Doan Trevor, Trevor, Dave Kiff, PTG, Pacific Tool and Gauge, Sierra, Varget, MatchKings, F-TR, .308, 7.62x51, Tactical, Target Rifle, Palma, Score, Aggregate, Reloading, McMillan, Marksman, Jewell, magazine, competition, rifle accuracy, Wind, BC, Ballistics, Hodgdon Powder, Varget, 4895, H4895, H4350, H4831sc, Sierra, MatchKing, Berger, Berger VLD, Competition Shooting, stainless barrel, reloading, powder, case forming, neck-turning, Winchester, Lapua Brass, bullets, precision. Copyright © 2010, 6mmBR.com | AccurateShooter.com, All Rights Reserved.